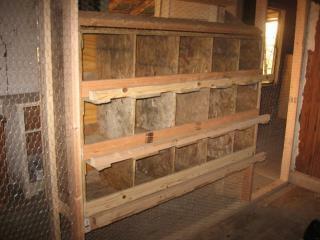 70 year old house converted to chicken coop and storage. Chicken wire walls were erected to separate the chicken living space from the storage space. 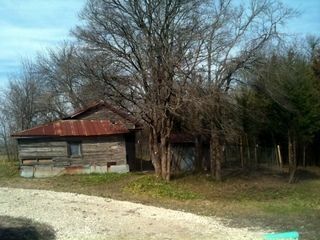 The house has three rooms in it. 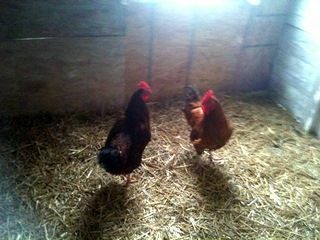 All three rooms have been converted to chicken living area. There is a roosting ladder in each room. 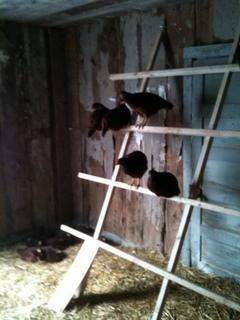 The roosting ladders are on hinges to allow ease of cleaning up the floor. The watering system is a goat trough, a water hose, and a float valve, with a roof to prevent perching on the trough. 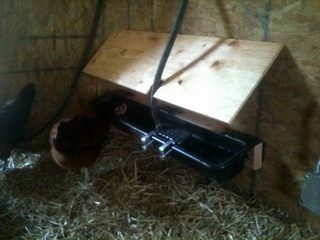 Nesting boxes were inserted in the chicken wire separating walls to allow access to eggs from the back without entering the chicken living space. The window holes were covered with chicken wire and translucent plastic sheeting for ventilation control.